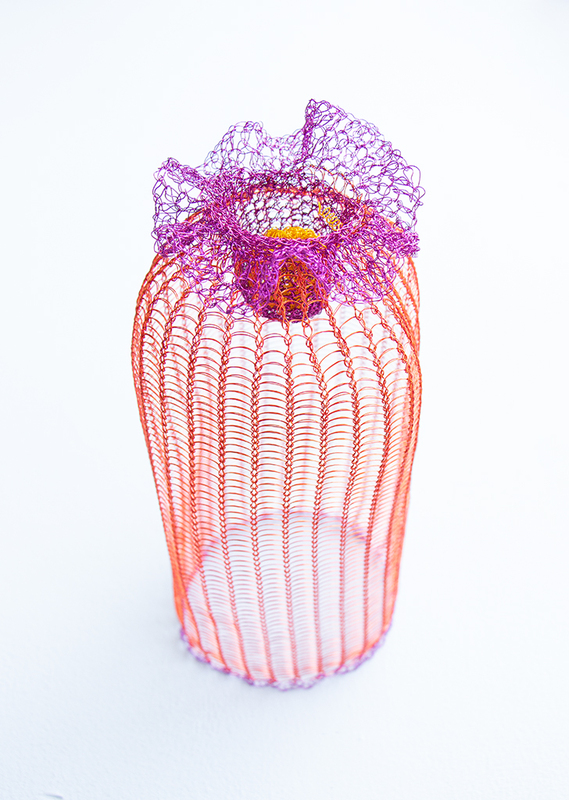 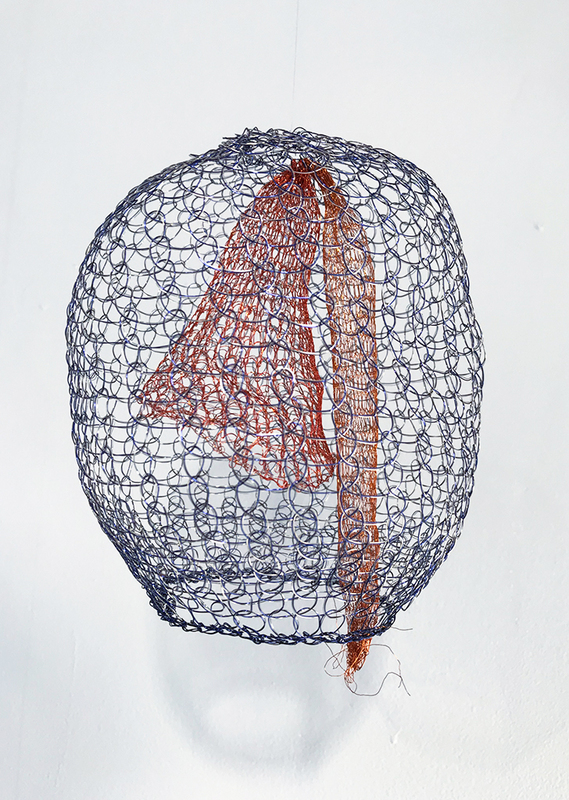 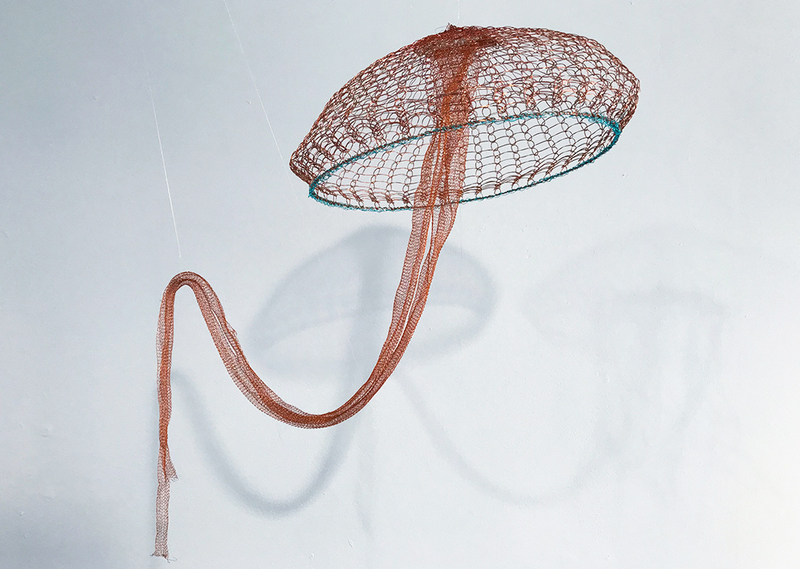 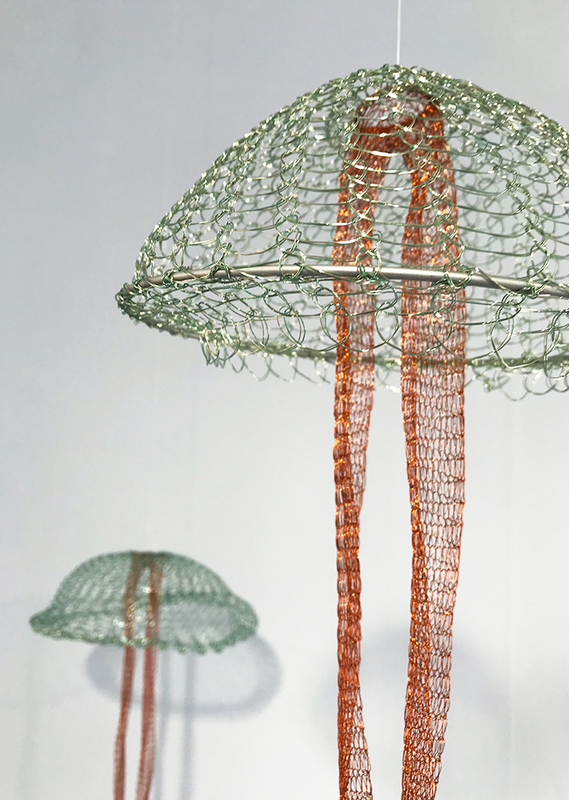 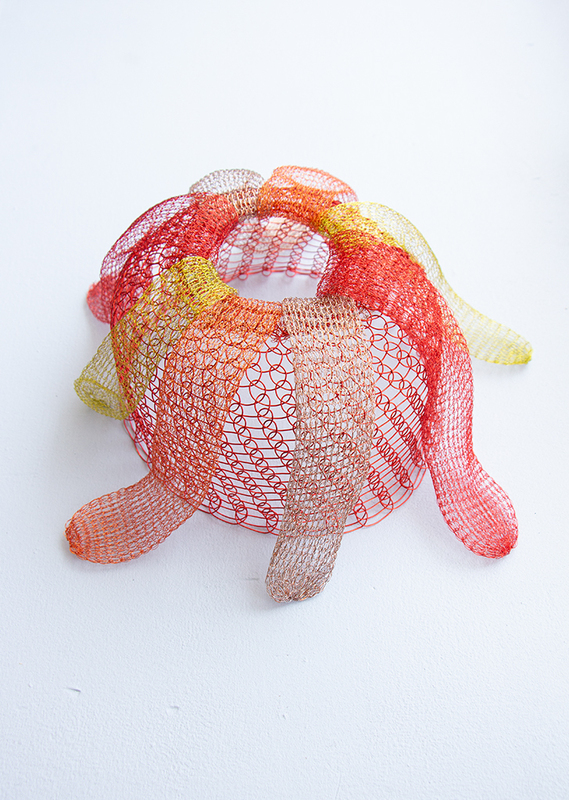 The Craft in America Center is pleased to present a solo exhibition of knitted metal sea creatures by pioneering artist Arline Fisch. 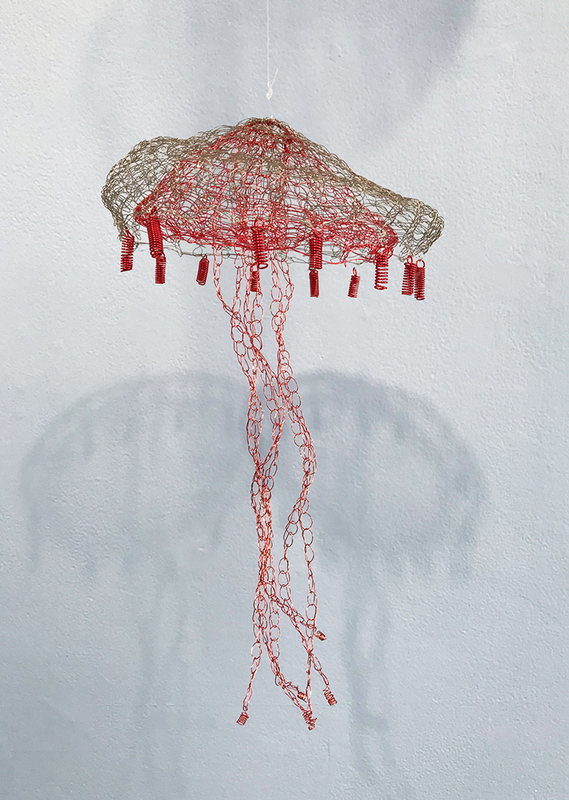 For this installation, Fisch’s work will transform the Center into an oceanic aquarium with vibrant wire jellyfish floating through the space and a coral reef filling the window. 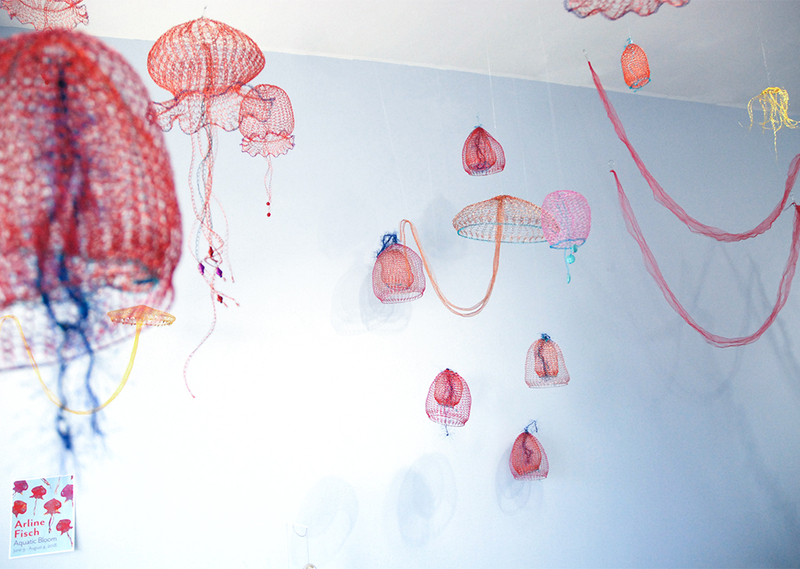 The title of the exhibition refers to a group of jellyfish, i.e. 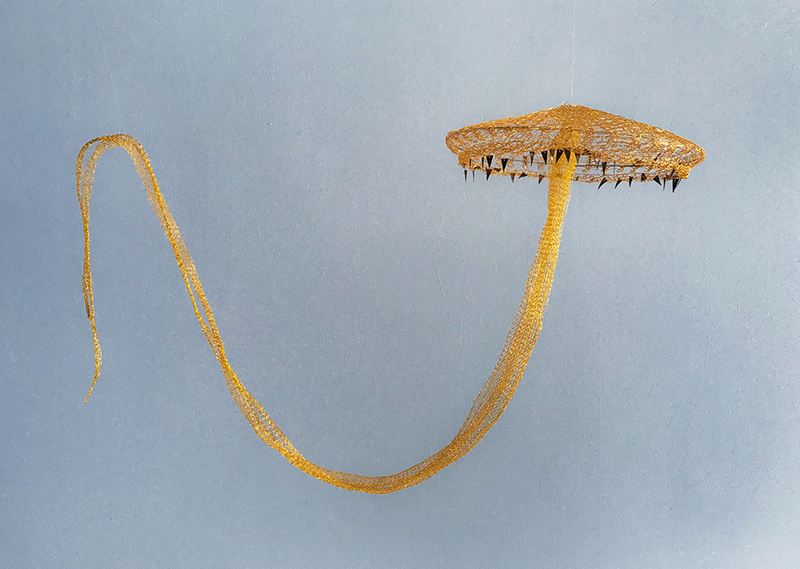 a bloom. 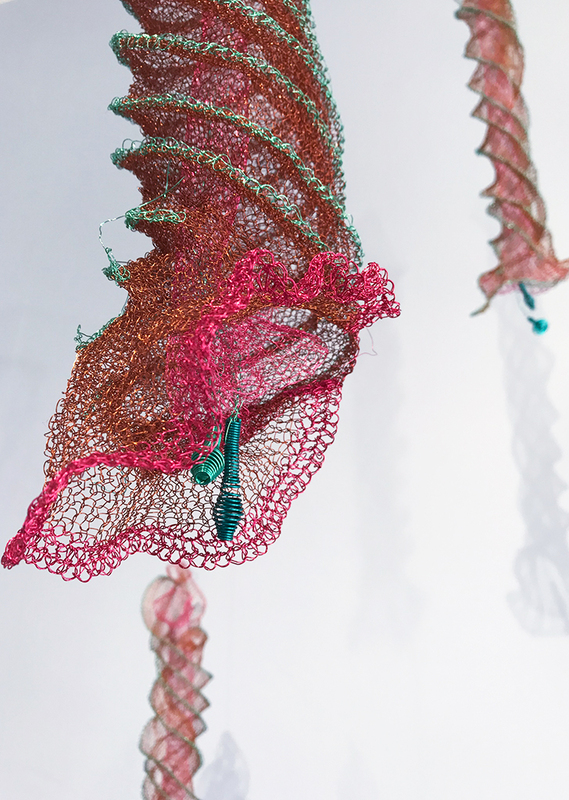 With Aquatic Bloom, Fisch is calling attention to the sheer majesty and beauty of our oceans and what we need to desperately protect. 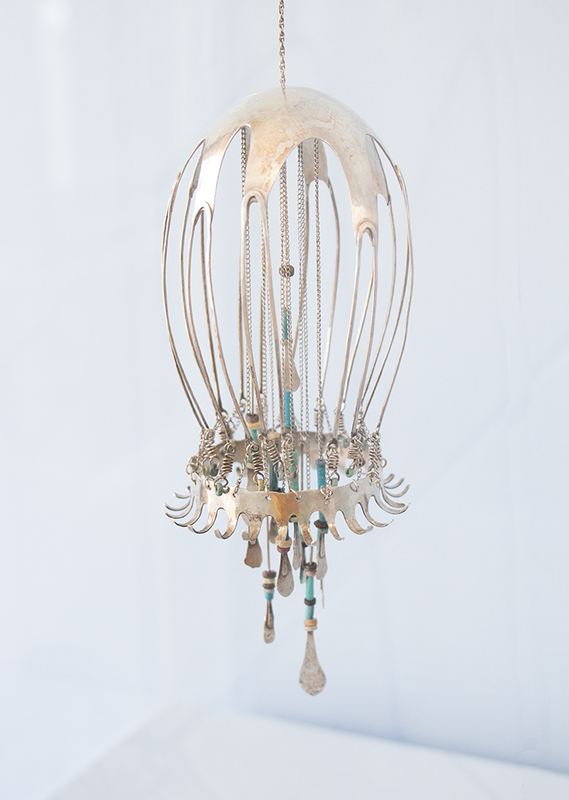 With more than fifty years of mastery under her belt, Arline Fisch is one of the most respected jewelry makers and metalsmiths in the field. 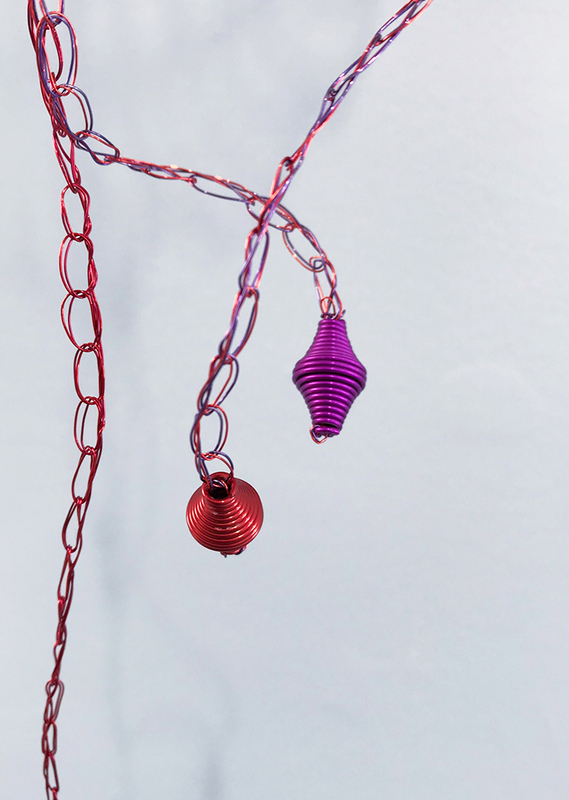 Fisch’s book Textile Techniques in Metal is a seminal text for jewelry experimentation. 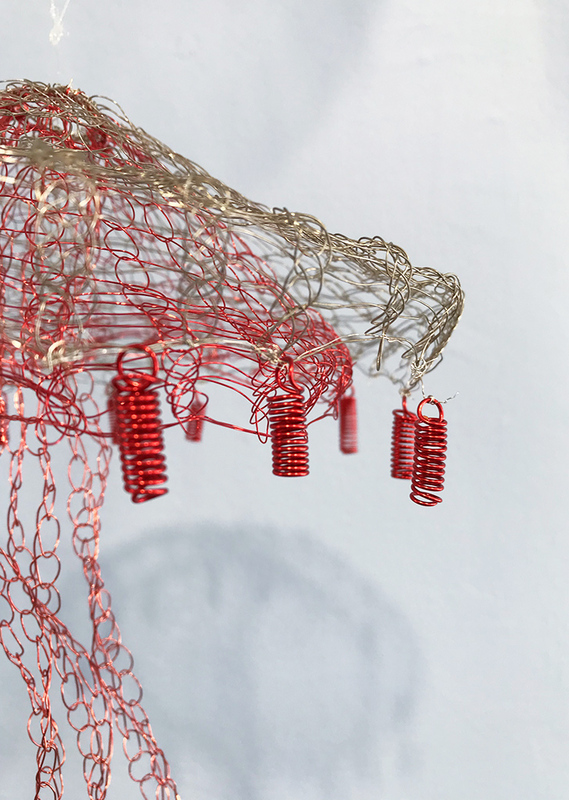 Her work melds jewelry, sculpture, and adornment techniques. 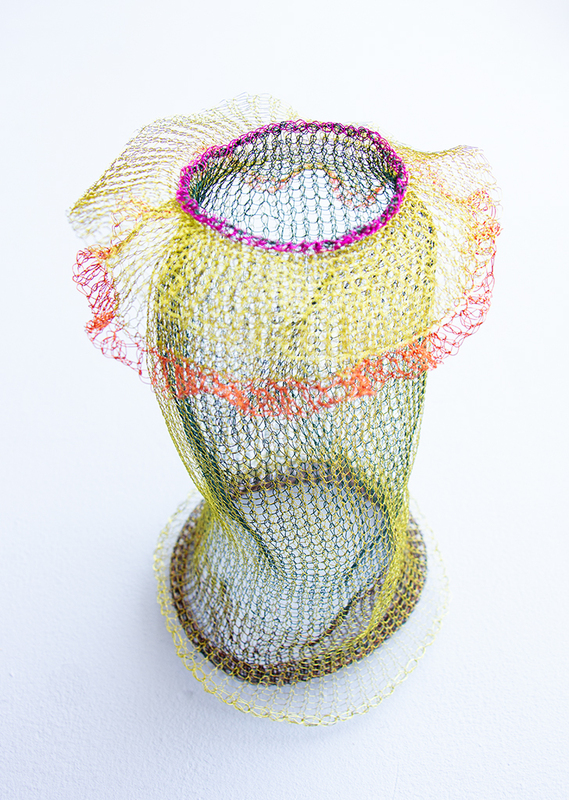 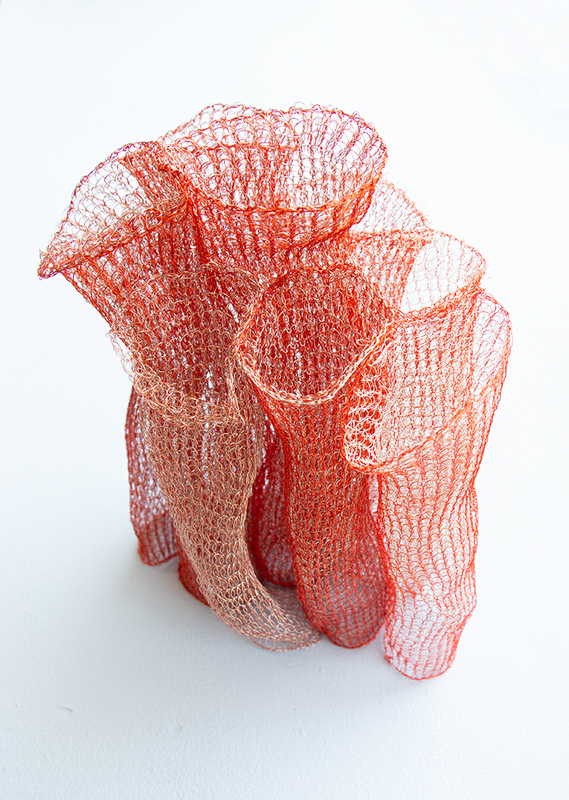 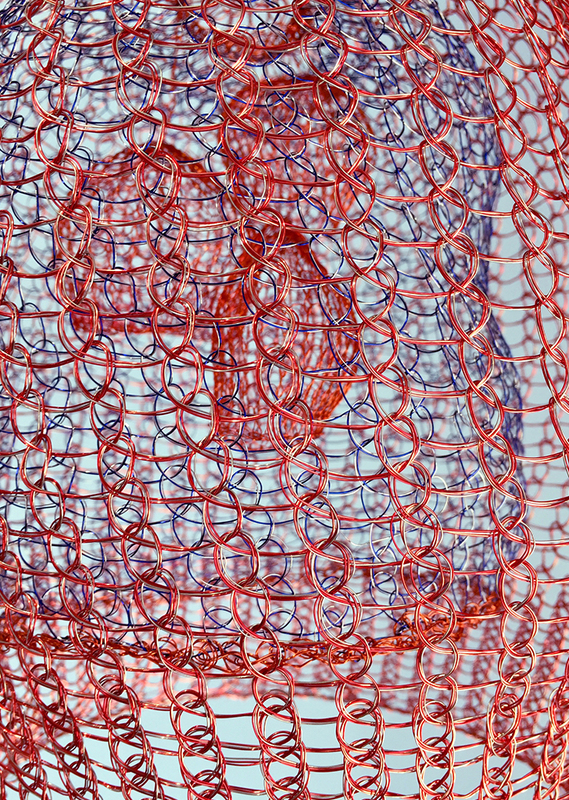 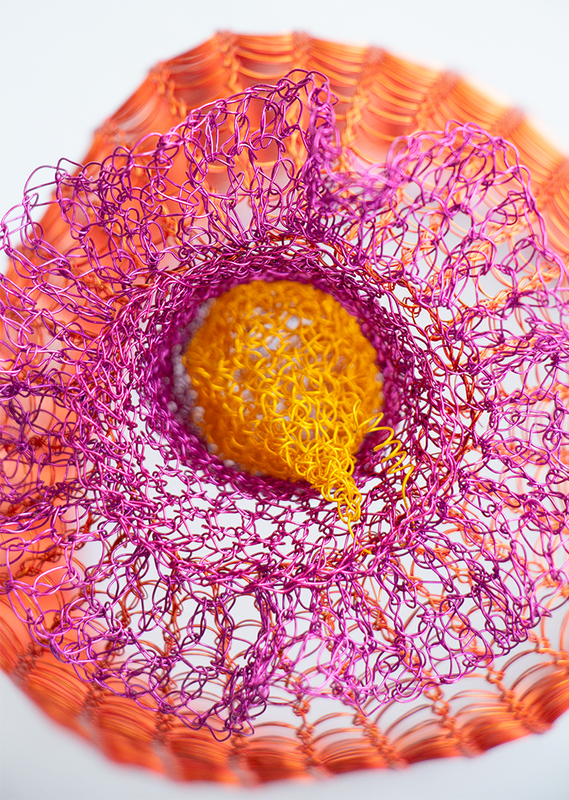 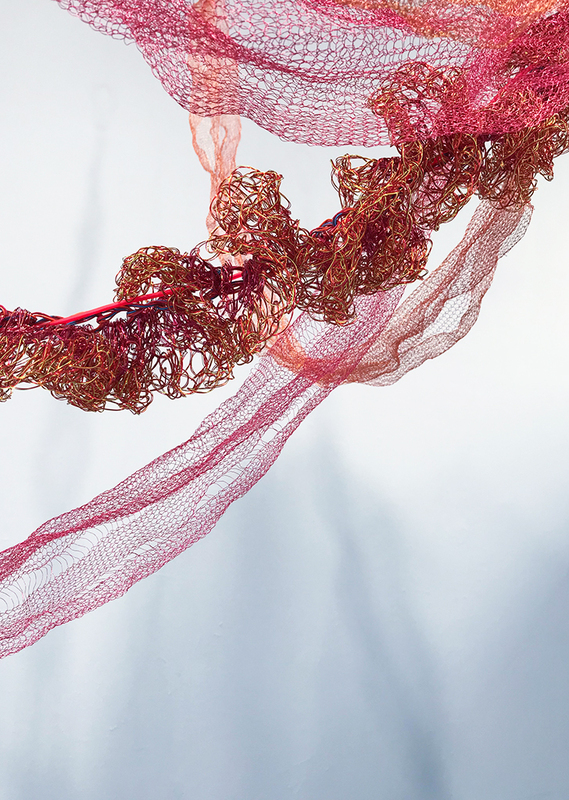 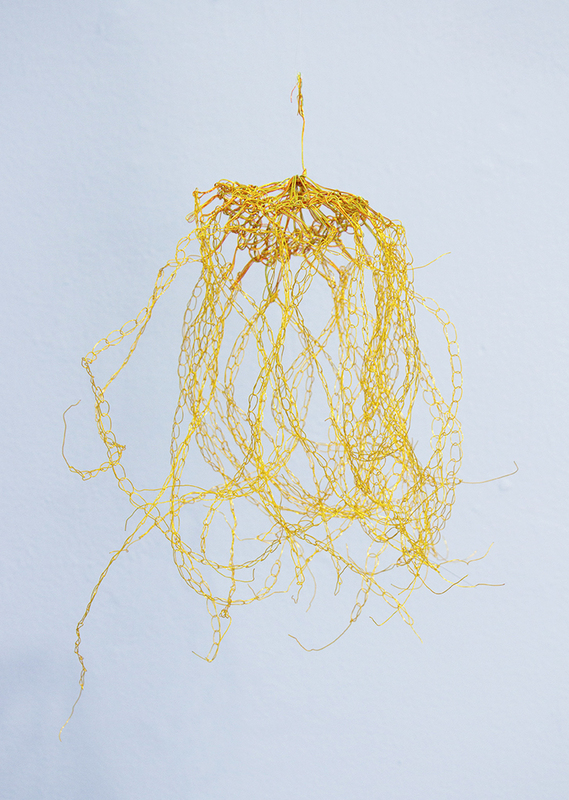 Fisch incorporates various materials and textile processes by knitting, plaiting, and weaving in order to create her work. 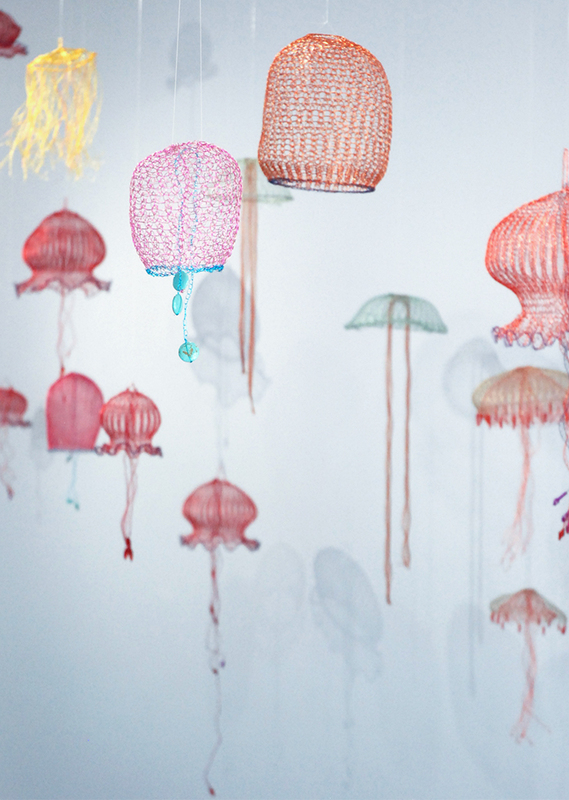 In addition to her blooms of jellyfish and other sea life, she has created collars, pectorals, and head ornaments on a monumental scale. 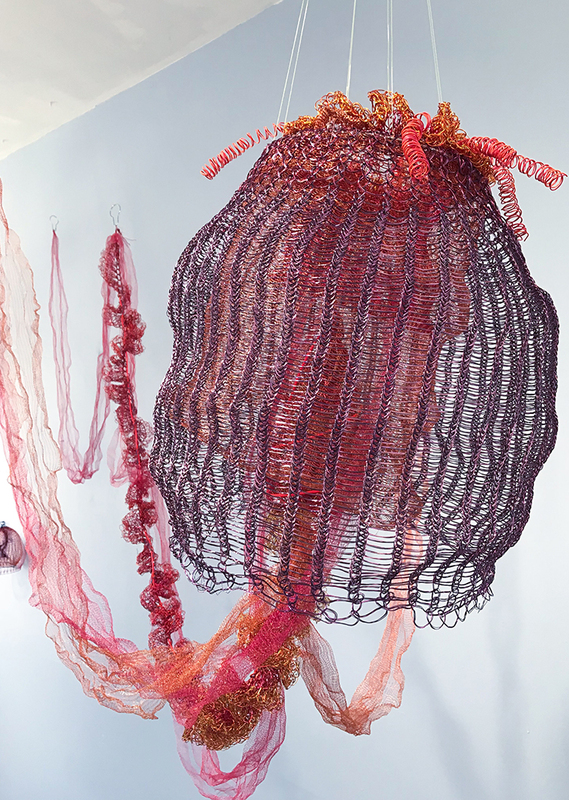 Drawing from ancient civilizations such as Egyptian, Greek, Etruscan, and pre-Columbian, she weaves the ideas extracted from past cultures with contemporary concerns to create layers of visual meaning. 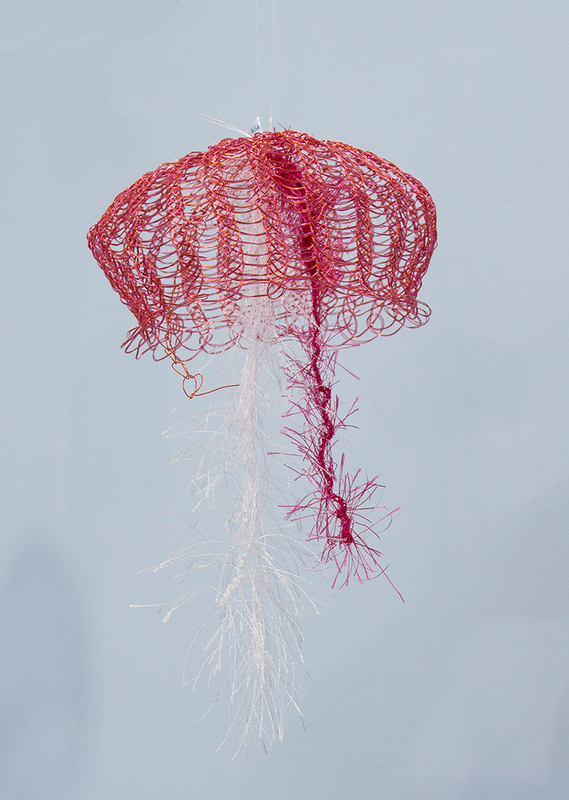 With this body of work, Fisch continues her investigation of the ancient with jellyfish, the oldest multi-organ animals on the planet.